Abandoning A Dream | Mothers Against Wind Turbines Inc. In 2008, I visited my Mum’s new dream home in the country for the very first time. 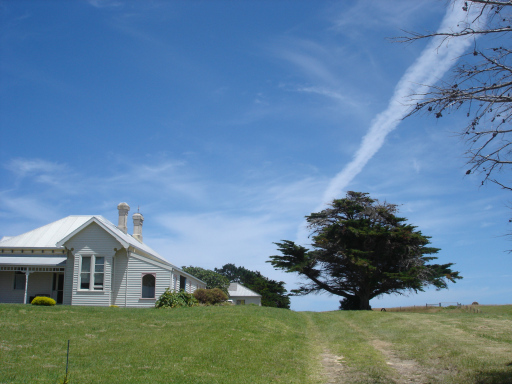 A beautiful little house, standing proudly on its own, near Cape Bridgewater in Victoria, Australia. Built by Irish settlers, now Heritage listed, it is a solid little house, built to last, and importantly, strong enough to withstand the savage winds that often hit this part of the coastline. On my first visit, I was very excited by the surroundings, and had never been anywhere quite like it. And now it was my Mum’s home. A whole new world was waiting to be explored and enjoyed by us as a family. Below are some first impressions of the house, the landscape, the wildlife around it. And below these I will include the important point of this post.